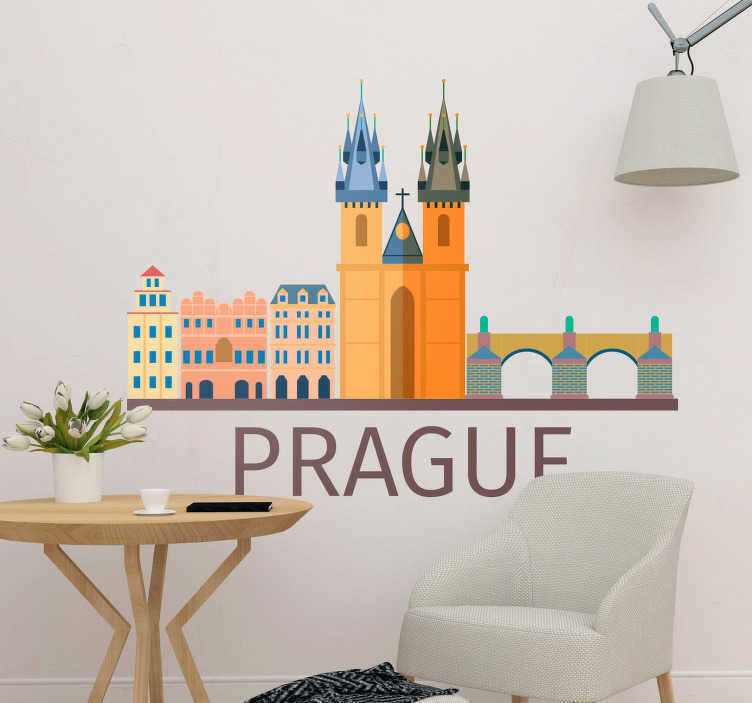 Decorate your wall with this superb wall art sticker, depicting the beautifully colourful Prague skyline! Prague is one of the most popular cities in the world and, when you consider its immense beauty, it is very very easy to see why! So, whether you have visited and loved it, or whether it is your dream to go when you can, this city wall sticker might just add that perfect touch of Wanderlust to your wall!